This list illustrates the critical role that precision agriculture plays in the efforts to meet the needs of the population. PrecisionAg recently published its list of the top 25 colleges and universities for precision agriculture, with some recognizable names making the list. The University of Nebraska-Lincoln, Purdue, and Ohio State were just a few of the many schools to make the cut. 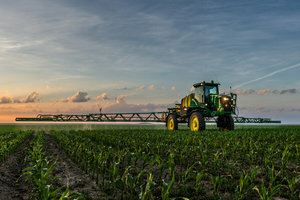 To compose the list, the editors at PrecisionAg Professional gauged feedback from industry experts, in addition to conducting their own internet research. The ultimate goal was to compare and contrast precision ag programs to determine which schools provide the best educational opportunities. Purdue University, for example, was recognized for its Department of Agronomy. The Ohio State University made the list for its Department of Food, Agricultural and Biological Engineering. Iowa State University was also recognized for its Department of Agricultural and Biosystems Engineering. Other notable schools to make this year’s top 25 list include Kansas State University, Oklahoma State University, and the University of Kentucky. The full list can be found on the PrecisionAg website at www.precisionag.com.